In 1999, Paul re-awakened to the ancient multidimensional nature of sound...its Holographic nature. Since then, Paul has traveled the world teaching what he has learned. According to Paul, "this energy was used on Lemuria and Atlantis and then taken underground for thousands of years, only recently to resurface. We are now able to properly, with highest intent, direct the immensity of this energy for the healing, rebalancing and unifying of our race and our earth." "The keys to the use, of this supercharged Holographic Sound, are again here on earth and accessible to us. There are specific techniques and formulas necessary to activate this Holographic Sound Energy. This teaching is now available to those who are called from the heart to work with the expansiveness of Holographic Sound. We look forward to being with the many of you who choose to walk the path of Holographic Sound Healing, Balancing and Creating." As we complete the first year since the transformation and energy acceleration of 12/21/12, we move into the next phase of our consciousness expansion. Allow yourself to flow upon the sound current and you will experience grace. If you experience pain it's only a result of your resistance to the changes. Experience, feel and flow without attaching to the emotional drama's around you. Yes, easier said than done, but do your best and experience greater joy... knowing you are supported by Universal Consciousness, One with the Divine, every cell within You an expression of Spirit! Feel free to bring your own drums, voice or other instruments and join us in celebration. Alchemy: a mystical science that seeks to penetrate the most intimate secrets of nature, in order to perfect both humankind and matter. Be sure and bring a mat or blanket and pillow for the final High Heart Activation. A higher conscious connection with your higher self and guides. A greater Knowing of unconditional love, compassion and peace in daily life. Moving to a new level of enlightenment through conscious expanded awareness. An awareness & understanding of your purpose in life in this day & time, why you are here. 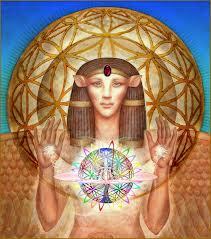 Through inner connectedness opening up your abilities for accelerated self healing. Clearing, activation of your energy centers, chakras... And much more!